Sunday blogging against racism #32–blue-eyed Noah | I wanna love You better whatever it takes . . . So a good friend of mine is about to have a baby, and as I believe in reading to babies as much as possible, I was at the bookstore checking out board books. I was delighted to find a sweet little board book with a cloth baby head at the top . . . awwwwwww, how cute. And I was all excited to find a book that had an African-American baby on it . . . So I was about to buy it until I started flipping through it and saw something that REALLY BUGGED ME . . . There was Noah, in all his blue-eyed, pale-skinned glory. AHHHHHHHHHHHHHHHHHHHHHHHHHHHHHHHHH!!!!!!!!!!!!!!!!!!!!!!!!!!!!!!!!!!!!!!!!!!!!!!!!!!!!!!!!!!!!!!!!!!!!!!! The saddest part of this to me is that I am SURE the publishers didn’t even register the fact that there might be a problem with the way they were representing Noah (not just in this book, either. 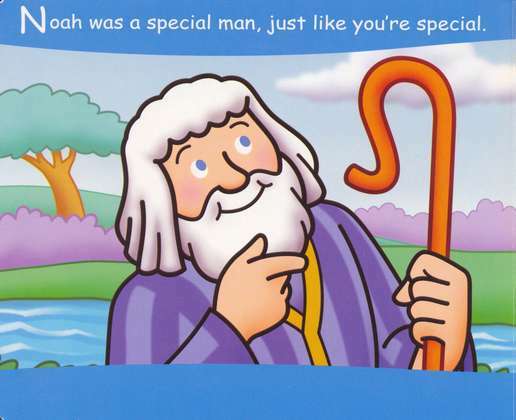 I’m quite SURE Noah did not have Hollywood-issued baby blues–so the other books in this series, even if they featured a white baby, should NOT have featured a blue-eyed Noah, or David, or Jesus, or anybody else in the JEWISH Bible. well, maybe someone could’ve had blue eyes along the way–but that pasty, white person skin? I think not.) But I want my friend’s little boy (who will already have the deck stacked against him by virtue of the fact that he will grow up as a black man in this society) to have the message come through loud and clear that HE is special and unique and BEAUTIFUL to God, exactly as God made him, without contradictory images that seem to imply that the “real” heroes of the faith always have white skin. The kitten should’ve been my first clue. ← going back to short hair? so you’re saying Noah is gay, then?! 😉 or just a metrosexual? Pingback: Sunday blogging against racism #34–life in black and white « I wanna love You better whatever it takes . . .
Blech. That is typical with the selection for children’s books. It amazes me, even today, how God or even Jesus is portrayed as being white with blue eyes. The Semetic people of the middle east in the time of Christ had dark hair and eyes, and may I even dare say, non white skin?